SANTA FE – Boaters can expect to encounter inspection stations at New Mexico lakes this summer as we continue to keep aquatic invasive species out of the state’s waters. 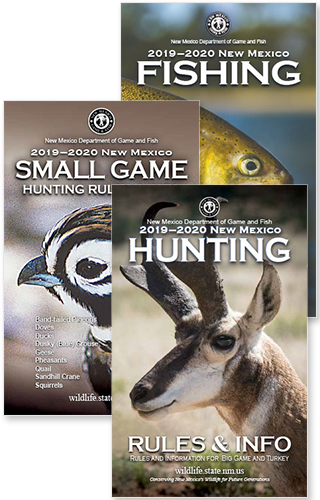 “We appreciate the boating public’s cooperation in our fight to prevent destructive invasive species such as zebra and quagga mussels from infecting our waterways,” said James Dominiguez, aquatic invasive species coordinator for the New Mexico Department of Game and Fish. Largely due to mandatory inspection stations, New Mexico remains free of zebra or quagga mussel infestation but is surrounded by states where the invasive species have taken root. The mussels can attach to boats and grow quickly, leading to encrusted equipment and clogged water pipes. Their spread also poses a risk to our native aquatic wildlife, hydroelectric power systems and surface water delivery lines used for municipalities and agriculture. Mandatory boat inspections are one way the state is working to educate the public and keep the invasive mussels out. All boats are required to stop for inspection when check stations are in operation. All out-of-state boats or any boats re-entering the state must obtain an inspection prior to being launched or exposed to any water body in the state. The department, in partnership with the U.S. Army Corps of Engineers, U.S. Bureau of Reclamation and New Mexico State Parks, are manning inspection stations at most lakes this summer, including Navajo Lake, Elephant Butte, Ute, Bluewater and Conchas lakes. Boaters are required to have their boats’ drain plugs pulled while trailered to allow water to drain. Keeping boats and related equipment clean, drained and dry is a primary means of combatting the spread of invasive mussels. For more information on boat inspection locations and how you can help keep the state free of aquatic invasive species, please visit http://www.wildlife.state.nm.us/fishing/fishing-regulations/aquatic-invasive-species/.